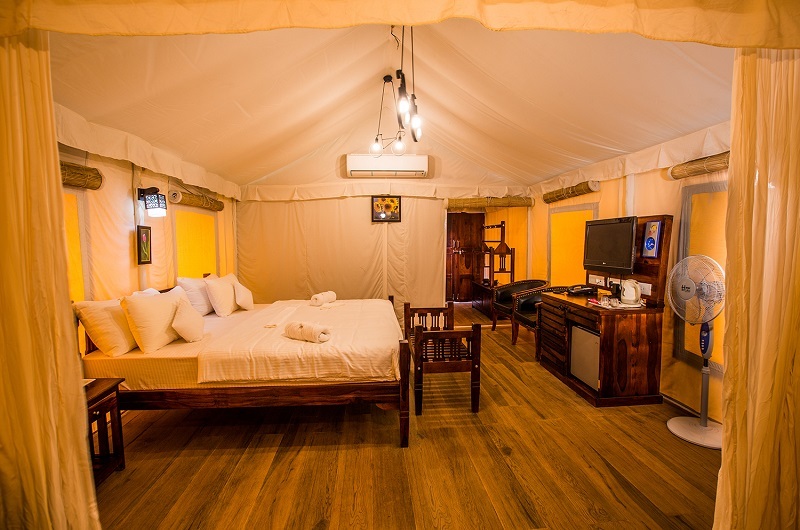 This Non Ac Tent is situated in garden area with attached bathroom, it is equipped with wardrobe, fan, Tv, and toiletries. The location is just perfect in natural surrounding. 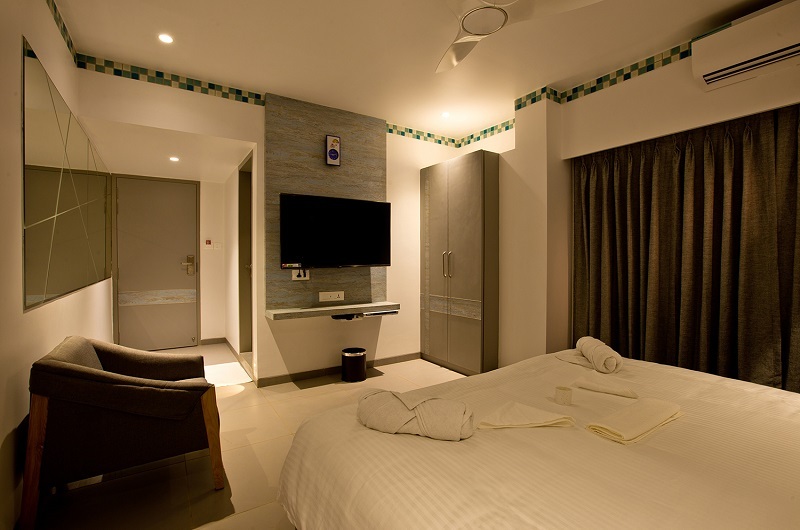 It is our basic category room. 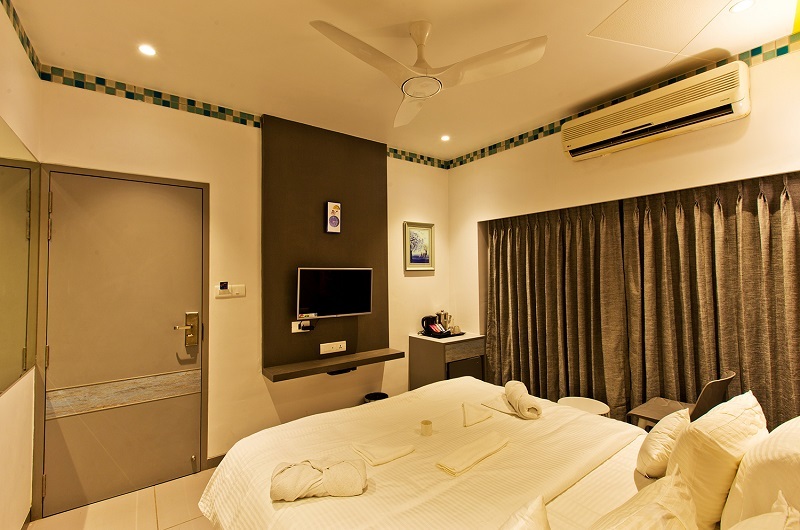 This room is fully airconditioned and furnished with all modern aminities like LCD TV, Tea Maker, etc. 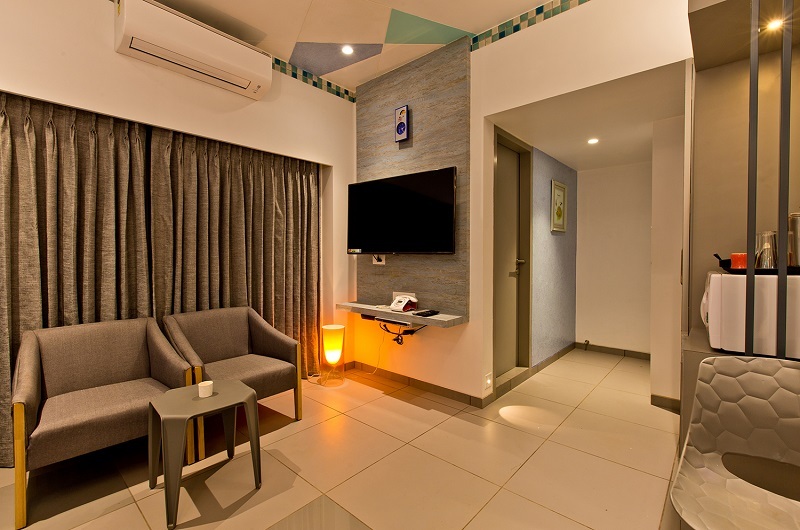 This fully air-conditioned room includes all star category amenities, LCD TV with all the available satellite channels, Tea Maker and beautifully designed spacious and comfortable bed. 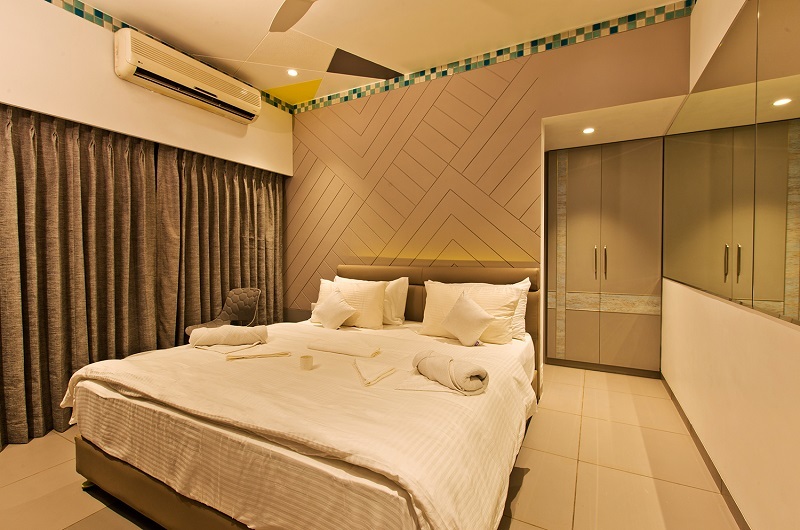 Designed specially with honeymoons and couples in mind. 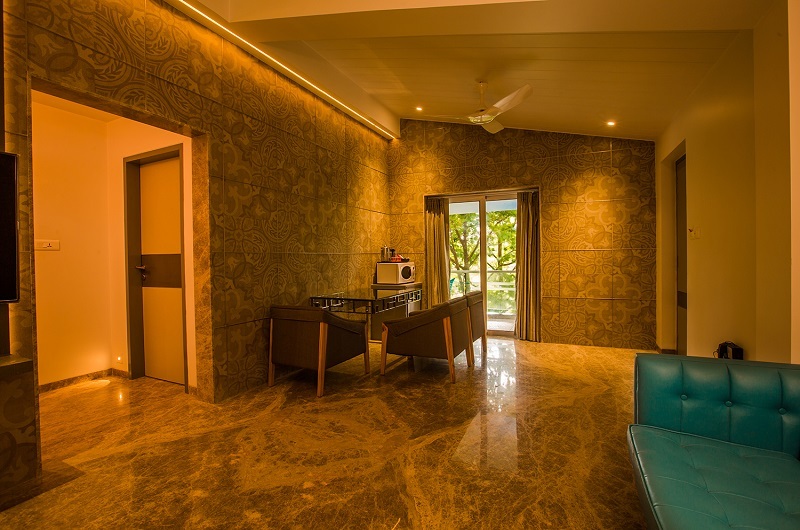 This fully air-conditioned room includes Jacuzzi, LCD TV, Telephone and a specially designed bed and interior which make the ambience special.